In World Studies class students study global issues from group activities, presentations, discussions and watching documentaries about the following themes: media, poverty, human rights, peace, diplomacy and self-development through self-reflection. 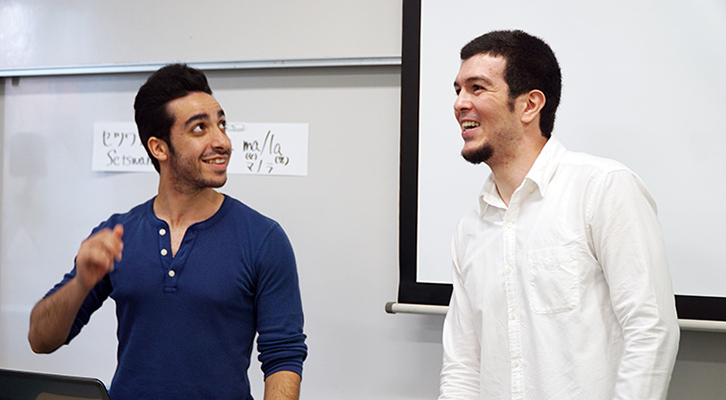 This class offers hands-on activities based on the theory of global education, with which students study global issues with special focus on poverty and human rights in developing countries. Students write reports, keep a class diary, and maintain a scrapbook of newspaper clippings (on a global area topic of their choosing) to help them expand their learning. 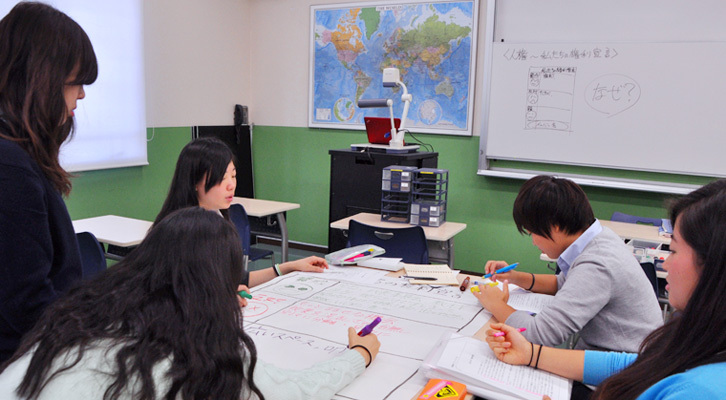 Working in small group fosters cooperative learning and aids in helping students to make the connections between global issues and themselves. * The classes meet four hours per week and are held during third and are fourth periods on Tuesdays and Fridays. World Studies in English links together history, geography, civics and English.